So today we start a series of posts about our teachers. To share a bit about the crafters they are - what they love and what inspires them. We kick off with Melissa from Tiny Happy. I can't remember when I originally came across Melissa's blog but it was love at first sight. She has a kinda calm in her images that gets me every time - makes me want to grab a cup of tea. And her crafting? Well it is stunning, simple and sweet and you can see her style carrying through to each one of the different disciplines she plays with. Love it. So we asked her a few questions about her love for crafting and here is what she had to say. What brought you to craft or make? My Grandma was a serious knitter- lots of yoked fairisle jumpers and matching accessories and even skirts and dresses. My Mum knitted constantly for all her 5 kids as well as made quilts, embroidered samplers, wove blankets and spun yarn. She still does! It was just expected that I would make things too and I got my first sewing machine when I was ten. What do you love about your chosen craft? I don't know that I really have a 'chosen' craft as I love to sew, knit, paint, design and embroider. I just like making things and being creative. 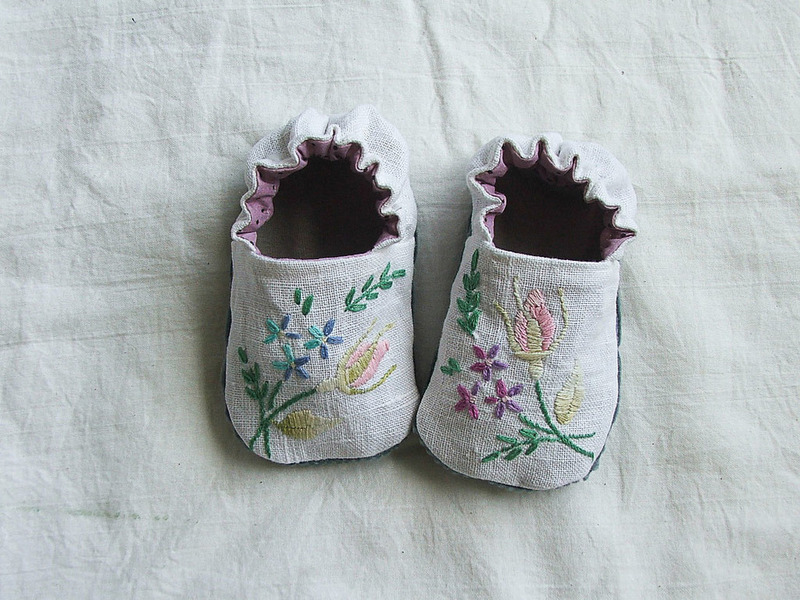 I like the idea that something beautiful can come from just an idea and a few textiles. I also like to have a few projects on the go. Keeps me happy. When/how do you make time for craft in your life - do you have a process? It can be hard to make time but I think it's always possible if the will is there. I knit on the bus on the way to work and in my lunchbreak. I love doing a bit of crafting with friends and a glass of wine. And I try and do a bit of sewing and embroidery sometime on the weekend. It's both easier and harder to do now that the kids are older (10 and 8). I find it all around. People watching at the bus-stop. From blogs and magazines. Also libraries and shop windows! And of course the constant: the colours and forms of nature. Who are your top 3 crafting heroes and why? I really love how Kaffe Fassett puts together colours and shapes in such ambitious ways. He's been a lifelong inspiration- Mum knitted all his garment designs throughout my childhood and I'd stare at the pages of 'Glorious Knits' and dream about the beautifully dressed families and well-decked houses. Naomi Ito (Nani Iro) is an inspiration- I love her aesthetic and calm yet energetic patterns. I also love Lotta Jansdotter and the way she captures the essence of something natural and special in her designs and colour choices. Melissa is teaching three classes for us. Embroidery From The Natural World which is an all day workshop where you will explore freeform embroidery and the way we can use it to express natural forms. Vintage Baby Shoes which is a pattern from Melissa's recently published book, Sweet and Simple Handmade and finally a Modern Sampler which is a half day workshop which is a great class for those wanting to learn a variety of embroidery stitches and come home with a piece of stitched art such as the one at the top of the post. Lucky for us - Melissa has kindly offered to give to one of our mailing list subscribers a gift of the project bag pictured below. Perfect for holding a small knitting project. We will randomly draw a name from the list on Monday morning. So if you're not on our mailing list already and you'd like a chance to win (and hear all The Craft Sessions latest happenings) please sign on up!